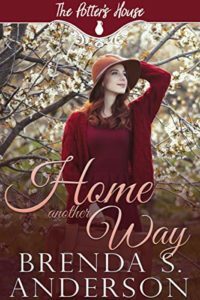 Home Another Way by Brenda Anderson is a delightful contemporary Christian romance. It is the eighteenth book in the Potter’s House series but can be read as a stand-alone. A Preview… Full review coming on release day 5th Feb.
Once again Brenda Anderson has created a story that consumes the reader. There are godly lessons to be learnt as we examine our lives. I adore all Brenda Anderson’s novels. She creates warm and welcoming characters who have realistic flaws and are just waiting to be re-shaped in the hands of the Master potter. Just perfect.